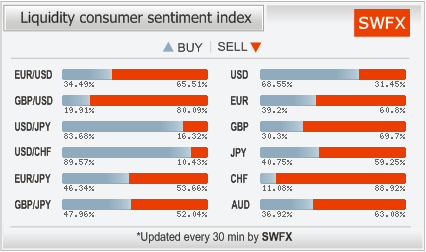 Market sentiment shows the current disposition of traders relative to specific currency pairs. 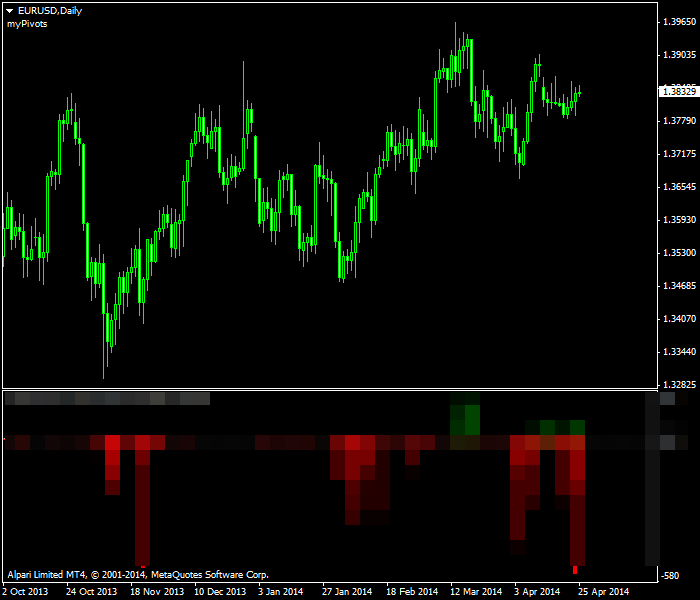 While futures exchange-based sentiment meters (Commitment of Traders report) can even show separate numbers for different types of traders, spot Forex traders are usually limited to retail trade sentiment meters provided by big brokers. You would need to get info from several brokers to get a more precise picture of the situation with sentiment because brokers base their sentiment values on their client base, which is limited even at big companies. Below, you will find descriptions of some of the most popular online Forex sentiment meters. 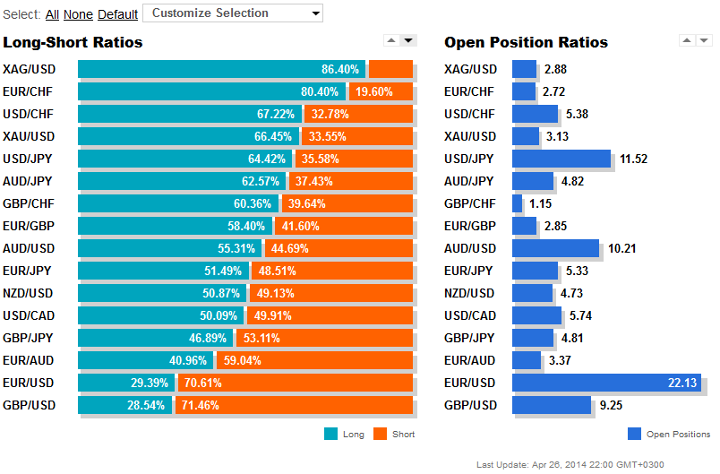 Open Position Ratios show the long/short ratios for the positions in 14 currency pairs and two metals (silver and gold): AUD/JPY, AUD/USD, EUR/AUD, EUR/CHF, EUR/GBP, EUR/JPY, EUR/USD, GBP/CHF, GBP/JPY, GBP/USD, NZD/USD, USD/CAD, USD/CHF, USD/JPY, XAG/USD and XAU/USD. 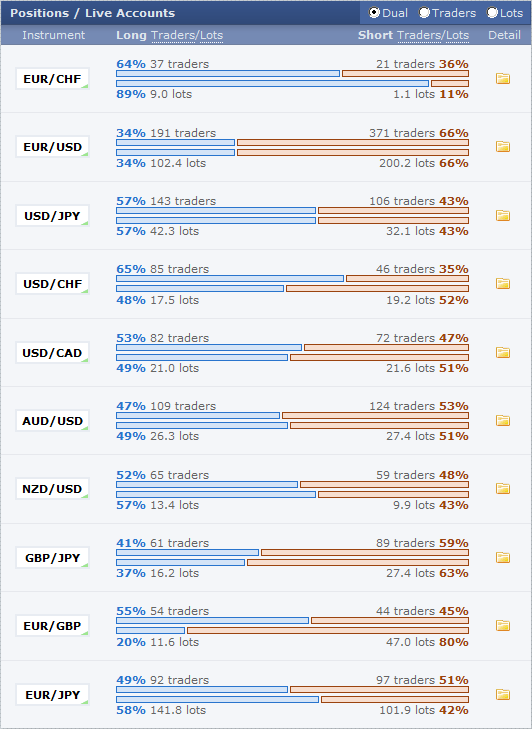 In addition to long/sort ratios, you can check the percentage share of each of the above-listed trading instruments in total number of positions. Non-cumulative — a normal view that shows how many long/short positions or buy/sell orders are located at a particular price level. Cumulative — the same as above, but orders and positions are summed at each price level up and down starting from the current price. This allows one to see how many orders/positions lie ahead on the way to some given price point. Net — same as non-cumulative, but short positions are subtracted from long ones, and sell orders are subtracted from buy ones on each of the price levels. 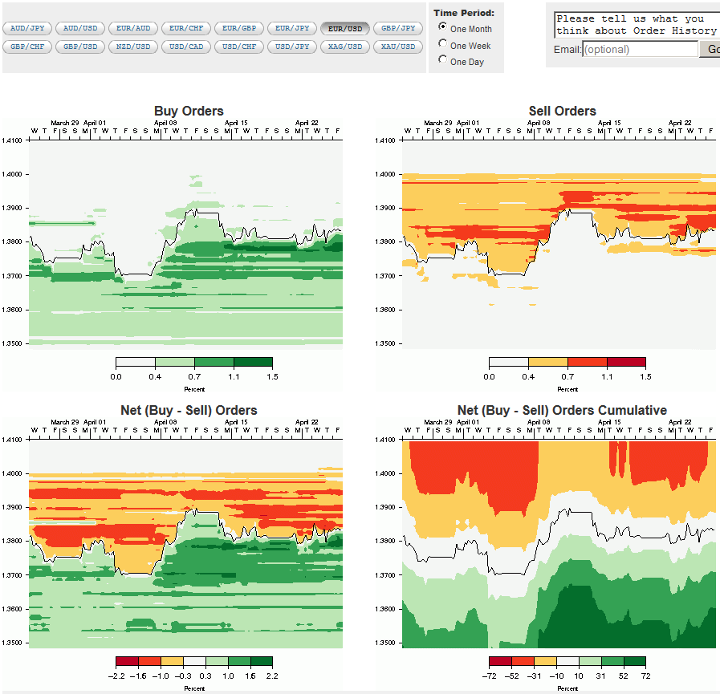 This provides a net total of orders any of given price levels. In any of the three views, the price scale can be zoomed in and out. The information is updated every 20 minutes. 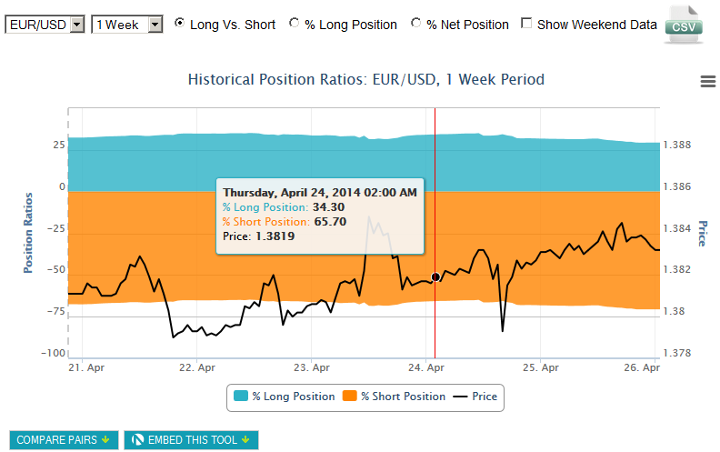 You can use Oanda‘s Historical Open Orders and Historical Position Ratios for in-depth research. The data charts are available in one month, one week and one day periods for orders and in one day, two day, one week, one month and one year for positions. 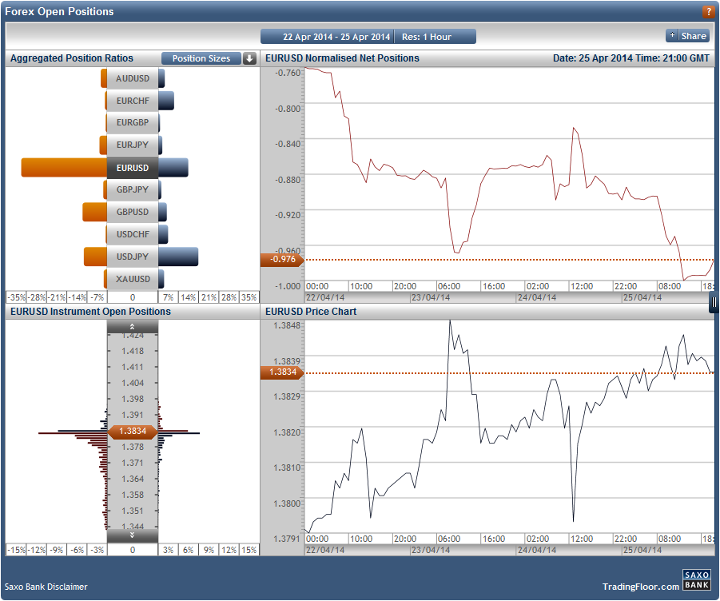 Positions / Live Accounts indicator shows a breakdown of long/short traders and lots for 10 currency pairs at a time. By default they are: EUR/CHF, GBP/USD, USD/JPY, USD/CHF, USD/CAD, AUD/USD, NZD/USD, GBP/JPY, EUR/GBP and EUR/JPY. However, they can be changed to almost any other currency pairs. The numbers are presented in a very accessible manner. 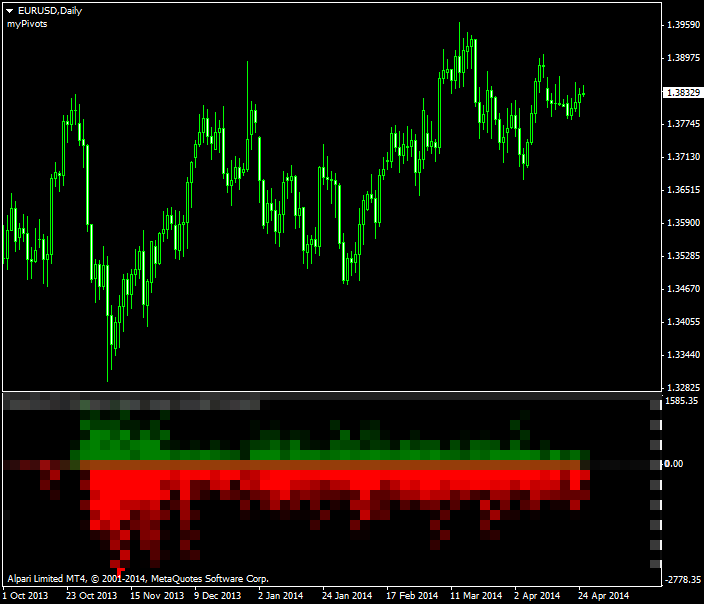 Additionally, it is possible to view the details for an individual currency pair. They include Traders, Lots, Average Entry Price, Average Trade Duration, Winning Trades and Losing Trades. 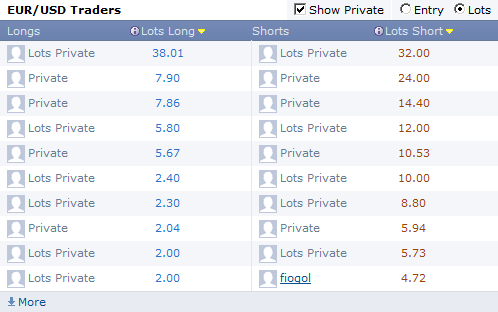 All values are broken down into longs, shorts and total. The details also show a chart for lots/traders in M5, H1 or D1 timeframe. There are about 40 hours of data available for M5, 30 days for H1 and a year for D1. The scale can be switched either to normal (percentage) or to relative mode. A breakdown of community members and the sizes of their positions is visible below the details chart. This breakdown can also be switched to entry prices mode, showing the average entry rates of those positions. While many members protect their positions with privacy settings, some share their trades fully. ForexFactory is not a broker but a community website for traders. Nevertheless they are able to offer their own sentiment meter. Its biggest problem is that it is based on the accounts of the traders who voluntarily signed up with ForexFactory and connected their live account to the website. This results in a limited and somewhat biased sample. 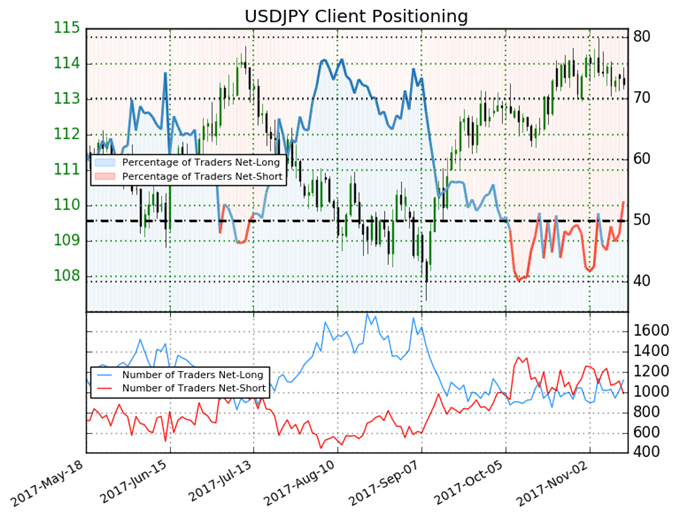 Speculative Sentiment Index is a sentiment metric based on number of traders who are long and short on a given Forex instruments. It is based on the data from the FXCM IG live account holders. The data is updated in real-time. The data includes SSI for the current week, SSI for the last week, percentage of Long contracts, change in open interest and a trading signal generated by this info. 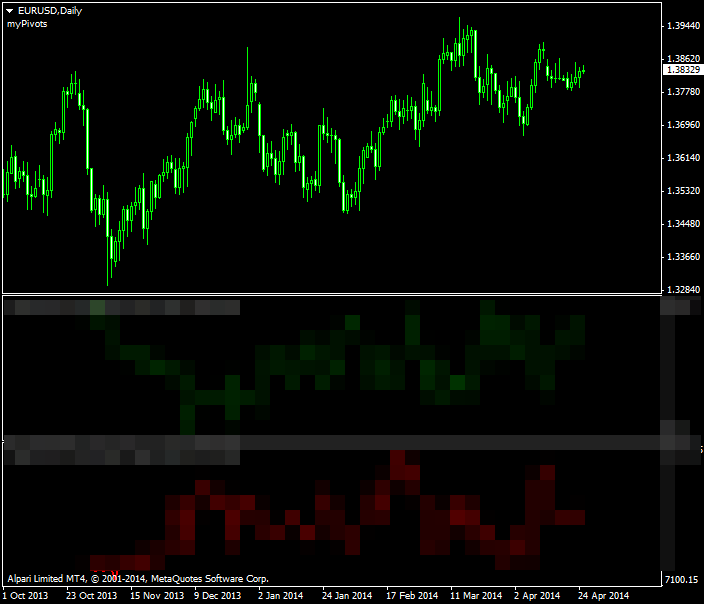 The data is given for EUR/USD, USD/JPY, GBP/USD, AUD/USD, EUR/JPY, Gold, and S&P500. A 6-month long daily chart can be invoked for any of those trading instruments. 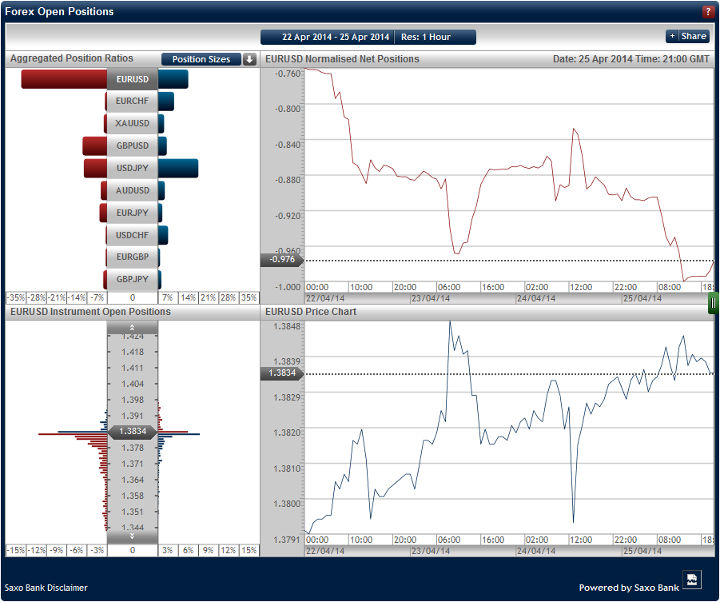 In addition to the main price curve, the chart features SSI ratio histogram and Retail Open Long/Short Positions lines. Update 2017-11-15: DailyFX is a part of IG now. The description above has been updated to reflect that and also the changes in the SSI data displayed. 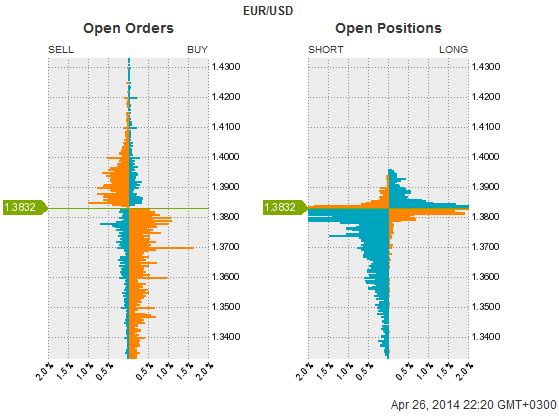 Provided by Saxo Bank, Forex Open Orders and Forex Open Positions charts offer order data similar to Oanda’s. The basic mode is free-for-all, which does not require any registration. 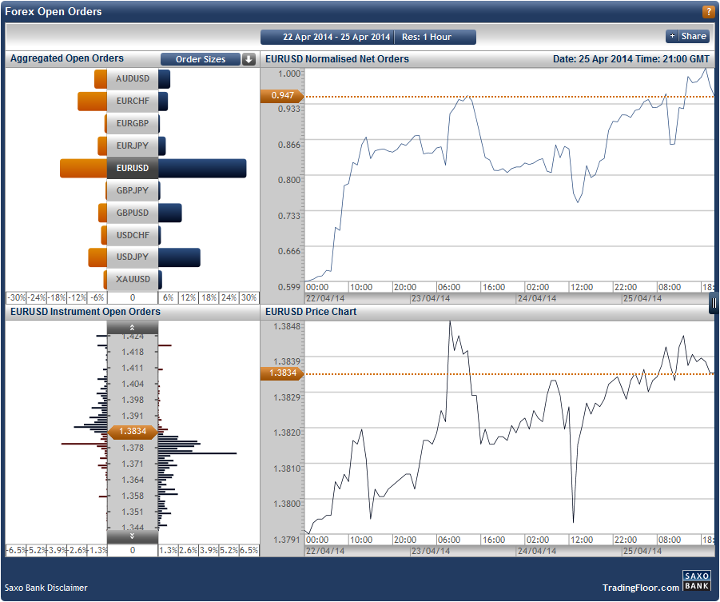 However, more real-time and higher resolution data is available to the members of TradingFloor.com. Basically, it allows seeing position/order ratio data at 15 minutes intervals. The charts are quite counter-intuitive. I had to press their “Show Help Using This Tool” button and read the pop-up windows with tutorial information to understand where long positions are and where are the short ones. The problem is that the button is only available on member-only charts. Normalized Net Orders — relative proportion of buy and sell orders at a given point in time. Instrument Open Orders — shows a number of buy and sell orders at given price points. Price Chart — a good old currency pair price chart. Normalized Net Positions — relative proportion of long and short positions at a given point in time. 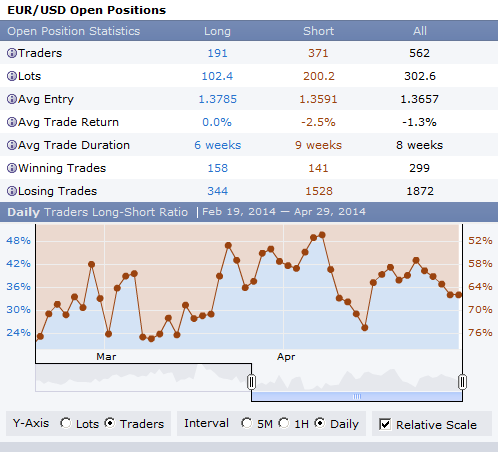 Instrument Open Positions — shows a number of long and short positions at given price points. 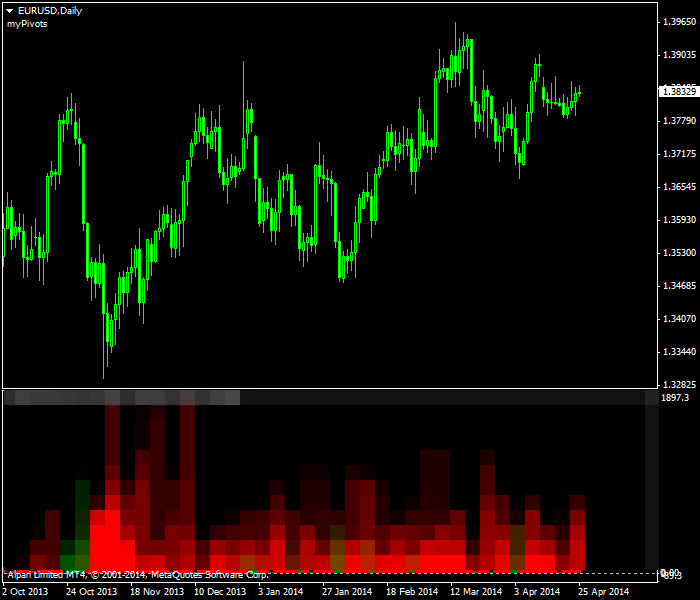 Price Chart — currency pair price chart. 15-minute charts are available for a maximum horizon of 1 month, 1-hour data can be scaled out up to 6 months and there are 5 years of data for 1-day resolution. SWFX is a short form of Swiss Forex Marketplace — an ECN network provided by Dukascopy. The main advantage of SWFX Sentiment Index is that it is divided into two parts — Liquidity Consumers and Liquidity Providers. The former are comprised of regular traders, money managers and hedge funds. Even if they use limit and stop orders, they are counted as liquidity consumers as they do not do it on a regular basis. Providers are banks and currency marketplaces who regularly set up bids and offers for other participants to trade on. Each trade in one category has a corresponding trade in another one. Each category features both the current sentiment index and its historical version. The current index presents the percentage shares of buy and sell positions for a given currency pair or currency. The historical index shows long-short percentage share difference for each currency pair for the latest index update, for 6 hours ago, for 1 day ago and for 1 month ago. The data is displayed for 6 currency pairs (EUR/USD, GBP/USD, USD/JPY, USD/CHF, EUR/JPY and GBP/JPY) and 6 currencies (USD, EUR, GBP, JPY, CHF and AUD). The indicators are updated every 30 minutes. 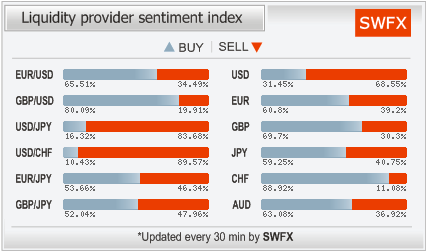 OrderFlowFX presents a set of indicators for MetaTrader 4 platform to show sentiment analysis of the Forex market. The indicators use custom proprietary data, which is downloaded by a special external script (coded in Python) and provided by OrderFlowFX. Unlike other sentiment indicators presented here, this service is paid. They charge $69/month for using OrderFlowFX indicators. They also offer free 7-day trial to evaluate the product. There are 12 indicators in the package. Below, I present the most interesting ones in terms of the sentiment analysis. As of May 4, 2015, the company stopped providing its services to new customers. They also requested for their screenshots to be removed hence the blurred graphics on the images below. The data is available for the following trading instruments: EUR/USD, GBP/USD, USD/CHF, USD/JPY, EUR/CHF, USD/CAD, AUD/USD, EUR/GBP, EUR/AUD, EUR/JPY, NZD/USD, GBP/JPY, AUD/JPY, EUR/CAD, Crude Oil, Gold (XAU/USD), S&P500 and Silver (XAG/USD). Both installation and usage process is not very straightforward. Such indicators are less convenient for one-glance use compared to the web-based tools provided by others. Also, the history of the available data is quite short (few months for some indicators). On the other hand, OrderFlowFX indicators offer a great opportunity for automation and expansion via developing other MQL4 indicators and expert advisors. This also allows backtesting of the strategies based on the sentiment analysis. Update 2015-05-08: After being acquired by another company, OrderFlowFX has stopped providing its service to new clients on May 4, 2015. 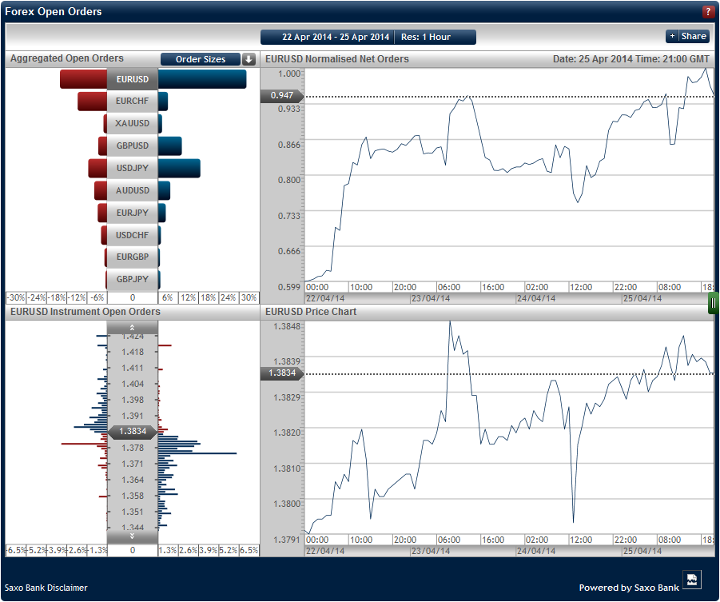 I personally, prefer Oanda’s Open Position Ratios to track situation with the EUR/CHF sentiment. I am currently looking to increase my long position, but I am hesitant to do so while the vast majority of the retail traders are on the long side of the trade. And how do you use sentiment indicators? What online sentiment meters do you use? If you would like to share your own methods of gauging the current sentiment of the currency traders or discuss any of the tools mentioned above, please feel free to do it using the form below. Thanks Alot for sharing themost valuable information in the FX market. whoever created this page is really santa claus for me. Mary christmas !!! really really helpful info, great job ! I use the myfxbook community outlook site. This has a very wide range of pairs and a good cross-section of traders. Thanks! Though the gauge is likely skewed due to the fact that it measures mostly the automated trading systems. 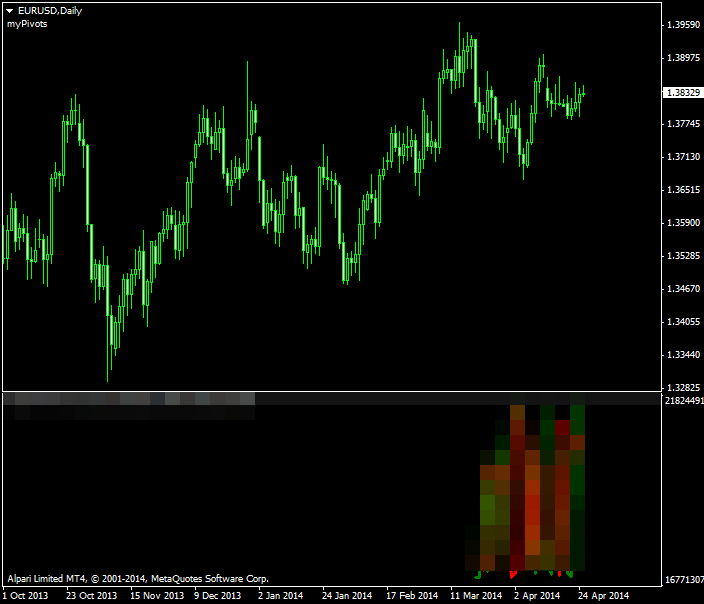 I’m looking for a way to add an SSI indicator into my algorithm to be used in any broker? You could just build a simple webpage parser that would pull out all the SSI data you need from DailyFX and then apply it in your EA. 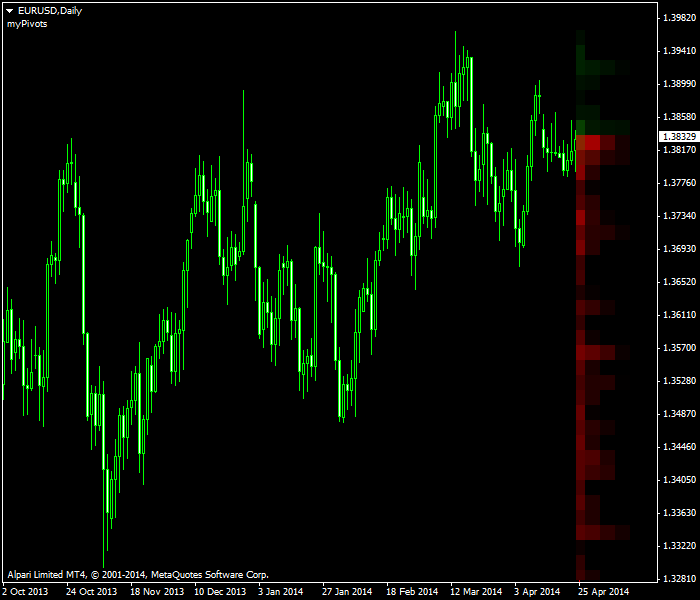 That is doable in MetaTrader for example.